A Washington Post investigation found that hundreds of police officers who were fired for misconduct, including allegations of sexual assault and drug trafficking, have been reinstated. Since 2006, at least 451 of 1,800 officers fired from 37 of the nation's largest departments have won their jobs back through appeals provided for in union contracts. Philadelphia police officer Cyrus Mann stood on a rain-slicked road, pointed his gun at a moving car and pulled the trigger five times, hitting the driver. The next year, he chased an unarmed man down an alley and shot him in the back. Two years later, he fired his gun four times at a man he had stopped for a suspected traffic violation. Most officers will never fire their weapons while on duty. Mann, a nine-year member of the Philadelphia Police Department, shot three people in just over three years. The shooting in the alley, on Aug. 9, 2012, would prove fatal and prompt the police commissioner to try to fire Mann. Like many police chiefs across the nation, he would fail. Mann's history on the force offers one of the starkest examples, from hundreds of cases The Post examined, of how little power police chiefs hold in deciding which officers remain in their ranks. What is known about Mann has been culled from interviews, publicly available law enforcement records and hundreds of pages of civil and criminal court documents, which include copies of some police records. By the time he was fired, records show, Mann had also been accused of lunging at a superior officer and had been described to a jury by a defense attorney as a "nightmare to the citizens of Philadelphia." Of the 71 officers who fought to get their jobs back in that city, police were forced to rehire 44, more than in any other department examined by The Post. "You would want to believe that if people were terminated, if proper investigations and protocols were followed, they were terminated for a reason," said Philadelphia Police Commissioner Richard Ross Jr. "There are occasions that you are frustrated, not just the police commissioner but even sometimes rank and file as well as commanders, because you'll get people who get their jobs back and you are completely baffled and dismayed by it." Ross declined to speak directly about Mann. The police union that fought for the 33-year-old patrol officer to get his job back also did not return calls for comment. Mann, in response to requests for his perspective, offered a short reply by text. "No comment," he wrote. "F--- off." Rain pummeled Philadelphia on June 17, 2011, the night two brothers pulled up to a hospital and dropped off two gunshot victims. An officer at the hospital ran after their Chevrolet Tahoe, but the vehicle pulled away before he could reach it, according to court records. He described it over the police radio, and soon a chase ensued. As a patrol car with its lights whirling followed the vehicle just after 2 a.m., Mann and his partner parked along a nearby street, records show. Mann stepped into the road and gripped his city-issued 9mm Glock pistol. When the Tahoe drove in his direction, he fired at it five times. One bullet hit the driver, Jeremy May, 33, in his right arm. Other bullets struck the vehicle's left rear door, the dashboard and the windshield, according to a police crime scene report. Mann told internal affairs investigators that he had his gun out because he believed the men were armed. He said he stood in the road to see whether they planned to "exit and flee" their vehicle but then saw the driver turn the SUV toward him, according to a copy of his statement. He estimated the vehicle was traveling 40 to 45 mph. "As the car is coming at me, I observed the driver raising his right hand over his left hand which was on the steering wheel," Mann said. "At that moment in time I feared for my life, believing that the male may be armed and that I was about to be run over by the vehicle." A Philadelphia jury in 2013 listened as a prosecutor described the brothers, who faced felony aggravated-assault and other charges, as a "cop fighting family." She told them Jeremy May purposely aimed his vehicle at Mann, who was distinctive looking at 6-foot-3 and resembled a younger version of Kareem Abdul-Jabbar, the Hall of Fame basketball player. The jury also heard Patrick Link, Jeremy May's defense attorney, argue that the charges against the brothers were meant to cover up for the shooting by Mann. No gun was recovered from the vehicle, according to a summary on the police department's website for officer-involved shootings. The jury would later acquit the brothers of the aggravated assault charges but convict Jeremy May of possession of an instrument of crime, a misdemeanor, for driving the car. Joseph May was convicted of resisting arrest, also a misdemeanor. "You deserve good cops," Link told the jury after describing Mann as a "nightmare" to the city. "Most of them are. That one's not." Mann testified at the trial that the shooting marked the first time he fired his weapon. He also described an earlier encounter with Jeremy May. Mann had tried to arrest May for alleged drunken driving weeks earlier. A police report for the incident says May resisted and a brief struggle ensued. "I Tasered him approximately five times," Mann testified. "It had no effect. The fifth time, that's when he disarmed me of my taser. That's when myself, my partner and, I believe, six, seven other officers had to fight the defendant." "You kicked him and you punched him after you tased him five times while he's on the ground, correct?" Link asked. "Did you notice him missing a tooth after this incident?" On Aug. 9, 2012, a year after the shooting, Mann was driving his patrol car through a West Philadelphia neighborhood when he pulled over a Ford Crown Victoria carrying Hassan Pratt. Both the officer and Pratt were 28. Pratt, who worked at ShopRite earning $7.25 an hour, sat in the front passenger seat. In the back seat was his brother, Mikaal Pratt, whom he hadn't seen in months. The Army sergeant was stationed in Guam and had arrived home that day for a short leave. Mann and his partner, Duy Nguyen, approached the car about 6:30 p.m. The driver tried to explain that a right turn at a red light was permitted at that corner after 6 p.m., records show. But Mikaal Pratt said the officers did not listen. Mann told a sergeant they had stopped the vehicle for a failure to indicate a turn, according to a statement the sergeant gave investigators. Nguyen told investigators they stopped the car after noticing a brake light was out. Nguyen said he ordered Mikaal Pratt out of the car first and patted him down. The officer said he then told Hassan Pratt to step out and handed him off to Mann to be searched. A moment later, Hassan Pratt was sprinting toward a trash-strewn alley, and Mann was chasing him. The two ran for nearly 300 feet, through the alley and across a street to where the alley picked up again, according to police photos and measurements taken at the time. They veered right at a gray wall marked with white graffiti. At one point, they zipped past Claudia Dunn, who was standing outside her car. It was clear to her that Pratt did not have a weapon. She told The Post what she had told police at the time: His hands were busy trying to hold up his khaki shorts. Moments later, Dunn heard the gunshots. "It's a sound you never forget," she recalled. "It just went through you." When Mann emerged on the street alone, she knew the other man was gone. Police photos show Pratt lying facedown in a mess of weeds in a spot where leaning tree trunks made the 2 1/2-foot- wide alley even narrower. His shorts and boxers are bunched below his hips, leaving him exposed. "I had to shoot him, I had to shoot him," Mann said, Mikaal Pratt recalled in a deposition for a civil lawsuit the family filed. "He was trying to go for my taser. He was trying to go for my taser," Nguyen, in his deposition, recounted his partner saying. The brothers' father, Michael Dawes, awoke to a phone call from police telling him his son Hassan was dead. He was given few details. 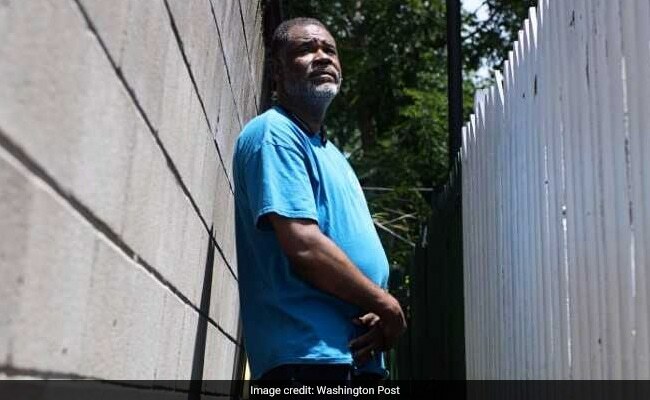 The local news articles he saw at the time cited police officials as saying his son was shot in the chest when he tried to grab a Taser during a struggle with an 18th District officer. Dawes accepted that account until he saw his son's body at the funeral home. He and other relatives were washing it, following Muslim custom, when they noticed that the bullet entry holes were in his back. Dawes said he believes his son took off running because he did not want to be found in violation of his probation and go back to prison. Court records show that in 2004, Pratt was convicted of robbery and criminal conspiracy and sentenced to five to 10 years in prison and 15 years of probation. At the time of his death, he had traces of cocaine in his system, according to the toxicology report from Philadelphia's medical examiner's office. The medical examiner's report describes Pratt as 5-foot-11, 306 pounds and details three gunshot wounds, two in his back and one to his buttocks. One of the bullets entered his upper back, traveled through his neck, grazed his tongue and broke a tooth, the report says. The medical examiner also found no gunshot residue in the wounds. This indicated that the muzzle of the gun was "likely more than two feet away, and consistent with a further distance" from Pratt's body when shots were fired, according to a report by Jonathan Arden, a forensic pathologist who was hired as a consultant for the family's lawsuit. 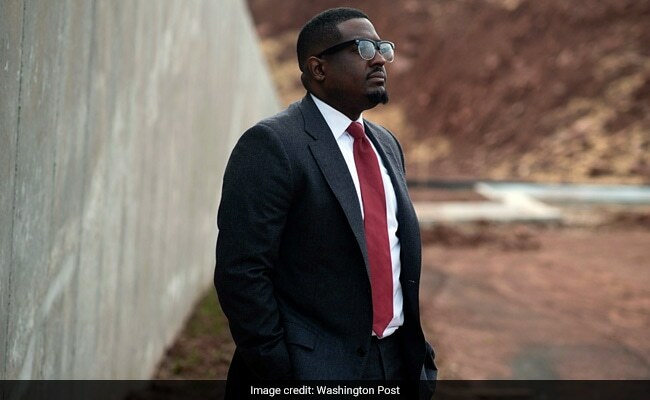 The wounds were "not consistent with the account of the shooting offered by the police," wrote Arden, who had been the District of Columbia medical examiner before leaving amid complaints in 2003. Pratt could have been turning when Mann shoved him and fired his weapon, Mann said in a statement he gave after the shooting, according to a document detailing his firing. But the officer would not provide an account of the shooting to investigators with the Internal Affairs Division until long after Pratt's death. Mann gave his first interview to them nearly 17 months after his encounter with Pratt, records show. Seven more months passed before investigators interviewed him a second time. By then, he had shot someone else. Gregory Porterfield had just left his mosque and was giving a friend a ride when Mann pulled over his Yukon Denali for a suspected traffic violation. The officer ordered Porterfield to step out, place his hands against the vehicle and spread his legs, according to a civil lawsuit Porterfield filed after the June 25, 2014, incident. Mann asked Porterfield whether he was armed. The 55-year-old said, yes, he was. The lawsuit gives this account: Porterfield patted his right front pocket to indicate where he had the gun. Mann tried to force him to the ground. As Porterfield stumbled forward, he raised his "empty hands in the air" to demonstrate he was not holding a weapon. He then "heard several gunshots and immediately felt pain in his back," the lawsuit reads. Mann and his partner, Joseph Reiber, the lawsuit says, "without any legal justification, immediately began repeatedly firing their weapons at the Plaintiff while he held his arms up demonstrating that his hands were empty." Porterfield was shot eight times, including twice in the back, according to the lawsuit. He was also injured near his underarm, buttocks, rear shoulder, leg, wrist and index finger. The last thing he would remember, the lawsuit says, was paramedics cutting off his clothes. The police department's website that tracks officer-involved shootings also provides an account: "As a result of the driver acting nervous, the officers asked him to step out of the vehicle for further investigation. While conducting the investigation, the offender told the officers that he had a firearm. The officers then attempted to secure the offender as he attempted to flee. One of the officers grabbed the offender, at which time he proceeded to draw his firearm. At that point, both officers drew their weapons and discharged them, striking the offender." The website said the officers pulled the vehicle over for "traffic violations." Porterfield's criminal defense attorney said the officers claimed the stop was for a broken brake light but that it was working. The civil lawsuit describes the encounter as an "unlawful stop" by police. Attorneys for the city have denied many of the lawsuit's claims in a response filed with the court. Officer Reiber did not respond to requests for comment. Porterfield spent several days in the intensive care unit and two weeks total at Einstein Medical Center. Charged with attempted murder and assault of a law enforcement officer, he was transferred to the Prison Health Services Wing at the Philadelphia Detention Center, where he spent five months recovering. The charges alleged that Porterfield shot at the officers with a gun that he did not have a license to carry. His bail was set at $1 million. The lawsuit claims the charges were based on false statements from the officers. A June 10, 2015, memo to the police commissioner from the department's Internal Affairs Division about the shooting says that Mann fired his weapon four times and that Reiber fired his six. A Bersa semiautomatic .380-caliber pistol was recovered at the scene, and an examination by the Firearms Identification Unit found gunshot residue as well as lint in the barrel, raising questions about whether the gun had been fired at the officers. "Although both officers stated they observed muzzle fire coming from the weapon possessed by Gregory Porterfield, there was no ballistic evidence that would indicate Gregory Porterfield discharged his weapon," the memo reads. Patrick Link, the attorney who handled May's case, also represented Porterfield on the criminal charges. As soon as he heard that Mann was involved, he recalled thinking, "You've got to be kidding me." "Things just spiral out of control with him," Link said. "He's not fit to be a police officer, bottom line." Link recalled visiting Porterfield in the medical unit of the detention center. "He had bullet wounds all over his body," Link said. "All he kept saying was, 'What did I do? What happened?' "
On June 19, 2015, the attempted-murder and assault charges against Porterfield were dropped. He received five years of probation related to a charge for prescription pills found in his vehicle. Exactly a month later, on July 19, 2015, Mann was fired for the fatal shooting of Hassan Pratt. In the nearly three years that passed between Mann's encounter with Pratt and his dismissal, the officer's actions had fallen under multiple levels of scrutiny. After all three cases, as with many police shootings nationwide, three things took place. The District Attorney's Office considered whether Mann's actions warranted charges. The police department's Internal Affairs Division determined whether policies were violated. And those affected most by the gunfire, the men hit with bullets, or their relatives, weighed whether to sue. After the shooting involving the May brothers, the District Attorney's Office examined the evidence and decided that Mann's actions were "legally justified." "It was reasonable for P/O Mann to believe that May was armed and dangerous based on information he received over a police radio about a prior shooting in the area and two gunshot victims being dropped off at the hospital by a vehicle matching the description of May's vehicle," according to an internal memo prepared by the District Attorney's Office and provided to The Post. "Furthermore, not only did May fail to obey the officers' commands to stop, May intentionally aimed his vehicle at a high rate of speed at P/O Mann and attempted to run him over." In its review, the police department decided Mann's actions warranted discipline. He received a four-day suspension, records show. It is unclear what reason was cited for the suspension, but the department at the time prohibited officers from firing at a moving vehicle "unless deadly physical force is being used against the police officer or another person present, by means other than the moving vehicle." Jeremy May could not be reached for comment. His brother, Joseph May, filed a lawsuit that named Mann and listed among its claims, reckless and unlawful discharge of a firearm. The case was dismissed in February 2016. May, reached by phone, said he had been representing himself but was unable to attend court. After the Pratt shooting, District Attorney R. Seth Williams wrote in a November 2013 letter to Police Commissioner Charles Ramsey that a careful review of relevant material "has concluded that no criminal charges are warranted." The letter details the encounter and says Mann pulled out his gun after seeing Pratt grab at his waistband. Later, while in the alley, Pratt reached for Mann's service weapon, and then for his Taser, the letter says. Eleven days after the shooting, Mann received "Post Discharge Firearms Training," which included reviewing the deadly force policy and watching a video titled "Bullets are not the answer," records show. Police department officials later concluded that Mann did not have to shoot Pratt. The department's Charging Unit determined in March 2015 that Mann's actions had violated a disciplinary code based on a policy that reads: "Police officers shall not discharge their firearms to subdue a fleeing individual who presents no threat of imminent death or serious physical injury to themselves or another person present." In June that same year, a police board of inquiry held a hearing about Mann's encounter with Pratt and issued a determination of wrongdoing. One member recommended that Mann receive a 30-day suspension. The other two members, including now-Commissioner Ross, who at the time was a deputy commissioner, recommended two options: a 30-day suspension or dismissal. The city settled the lawsuit filed by Pratt's family for $465,000, an amount based in part on Pratt's projected lifetime earnings in his job at ShopRite. He had hoped to work as an electrician and had completed a training program a year earlier. The settlement was later reported locally as one of the 10 largest payouts, totaling $11.1 million, for police-involved shootings that occurred in the city between 2007 and 2013. After Porterfield was shot, prosecutors again decided against charging Mann. "Based on the evidence and witness accounts, there is convincing proof that Officer Reiber and Officer Mann acted reasonably under the circumstances at the time of discharge," an internal review memo from the District Attorney's Office reads. It is unclear how the department resolved its internal investigation. A lawsuit filed by Porterfield is expected to go to trial next summer. The lawsuit criticizes the city for placing Mann back on patrol after the two earlier shootings, knowing he "had violated the constitutional rights of city residents on multiple occasions." It also says Porterfield suffered a permanent limp that has left him dependent at times on a cane or walker. Porterfield's attorney, Paul Hetznecker, said the case illustrates the dangers of a system that favors police and often handles officers' misconduct in secret. Only recently has Mann gained any local media attention. "Unfortunately, Philadelphia has had a culture within the department that has reinforced the protection of police officers who should never have been hired or never should have been retained," Hetznecker said. "I think it's a national problem. I don't think it's Philadelphia's alone." When Charles Ramsey was Philadelphia police chief, he tried to hold Cyrus Mann to account. Ramsey considered the board members' recommendations and fired the officer. He then saw him come back. The former District police chief said that during the eight years he led the Philadelphia department, he was forced to reinstate an officer who was charged with theft and another who was accused of sexual assault. An officer involved in a corruption case was not only given his job back, but an arbitrator also ordered the police department to give him a promotion. "How do you respond to that as a chief and as a leader?" Ramsey said. In a lengthy interview with The Post, Ramsey spoke critically about the arbitration process, which relies on independent hearing officers to settle disputes between the police department and union. Ramsey, who said he had been sued for discussing individual officers, did not return follow-up calls to speak specifically about why he fired Mann. Requests to the police department for information pertaining to Mann's disciplinary history and investigative records of his three shootings were denied. Mann has little to no visible online presence - no string of Google images that show his face, no Twitter or Facebook accounts in his name. Before he joined the police force, he wore a different uniform. For 2 1/2 years, from January 2005 to June 2007, Mann worked as a security officer for the Philadelphia International Airport, according to Transportation Security Administration officials. In 2009, he graduated from the police academy, and records show that in the years since, he has received training on subjects including crimes against the elderly, human trafficking and use of force. He has also accumulated five citizen complaints against him in the past five years, according to records the police department provided. Four were determined to lack merit on the most serious claims. But in one, filed by a woman involved in a traffic accident, investigators concluded that Mann committed three departmental violations, including engaging in "intimidating conduct towards a superior officer." Mann argued with a sergeant who demanded his badge number at the scene of the accident. "This is going to get ugly," Mann said before confronting the sergeant, according to an account from Mann's partner in the complaint. After Mann approached the sergeant, the two began shouting at each other and had to be separated by fellow officers, it says. Later at the 35th District station, during another heated exchange, the sergeant accused Mann of lunging at him. In his statement to investigators, the sergeant described Mann as "hostile" at the accident scene and said he believed that if another sergeant had not restrained Mann at the station, a physical altercation would have occurred. Mann, in his statement, said he initially approached the sergeant to ask why he had cursed at him. "Respect goes both ways and you tried to belittle me in front of everybody," he recalled saying. It is unclear whether that event resulted in discipline. In response to requests, the city released only one document about Mann's disciplinary history - an 11-page arbitration decision that addresses his dismissal over the fatal shooting of Pratt. For the other 43 reinstated officers, the city turned over the same type of document, but each had such heavy redactions that it was mostly unreadable. For Mann, officials released the decision in full to The Post and Philadelphia publications that requested it, saying it was determined to be in the public's interest. The document, which details the moves the police department made in firing Mann and the arguments the union used to fight for his reinstatement, provides rare insight into a process that plays out in secret in many cities. When Ramsey announced that he was going to fire Mann, the union immediately appealed. In February 2016, a hearing was held before arbitrator Ralph Colflesh, who had to decide: "Did the City have just cause to suspend without pay and terminate the Grievant, Police Officer Cyrus Mann; and if not, what shall the remedy be?" The arbitration decision, written by Colflesh, summarizes the arguments made on both sides of the issue. "The City's major contention is that deadly force was not required in this attempted arrest because Officer Mann did not know if the suspect had a gun, had seized the Officer's Taser, or had another kind of weapon," it reads. "In such a circumstance, the City says, deadly force was not the only option." The police union argued at the hearing that the officer was up against a heavier man who was determined not to return to prison and who was later found to have drugs in his possession and in his system. Mann testified that Pratt threatened him and used the words "F--- you up." "Officer Mann reasonably felt a threat to his own life and, failing the ability to otherwise subdue the suspect and avoid the possible loss of his own life or significant bodily harm, Officer Mann used the only measure at his disposal - his gun," the union contended. On March 9, 2016, Colflesh issued a ruling. He ordered that Mann be given his job back, receive back pay and have his disciplinary record "purged of any and all penalties and findings of misconduct in this matter." "I have no doubt that concern for Officer Mann's safety overwhelmingly justified his decision to discharge his weapon," reads Colflesh's decision. "The City's position on this question is greatly hobbled by the fact that it has no witnesses to testify to Officer Mann's behavior. In fact, the lone witness to the shooting is the Officer himself." Colflesh, reached by phone, said that the burden of proof was on the city and that it did not have sufficient evidence. "No one could prove that Mann shot him maliciously," he said. At the time of the proceedings, Colflesh was aware that Mann had been disciplined for a prior shooting, but he said each case is considered on an individual basis, and the case at hand was the Pratt encounter. "I had to look at that day and that day only." Colflesh, who will soon serve as the Mid-Atlantic coordinator of the National Academy of Arbitrators, said the arbitration process is important for officers because it gives them a chance to have their cases heard by a neutral individual. "The alternative to that is anytime the police department thinks you did something wrong, they would have the right to fire you and you would have no recourse," he said. "Your career is ended." Mann currently earns $73,808 a year, according to the city. He is assigned to a patrol district. Pratt's father, Michael Dawes, said he finds it alarming but not surprising that Mann kept his job. He expects that "he'll have a 30-year career or 40-year career." On a sweltering afternoon, Dawes walked through the alley where his son died. He stepped over a discarded razor and an empty SunChips wrapper, stopping at the place where Pratt collapsed five years earlier, his body landing on the ground next to a broken Rubik's Cube. "I'm not mad at cops," Dawes said. "I know all cops aren't that way. It's just some cops are overzealous. Sometimes people come out here and forget their oath."